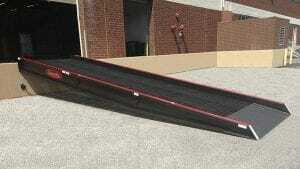 Copperloy’s national network of yard ramp dealers offer solutions for even the most difficult loading dock dilemmas. Our distributors can help you determine which ramp or other dock equipment will best meet your needs, including used yard ramps and yard ramp rentals. You’ll find Copperloy dealers across the state of Florida, including Miami, Jacksonville and Tampa. No matter where your business is located, our distributors can provide you with quick, low-cost shipping and delivery, as well as hassle-free service down the line.